Ireland get top makes for execution and style for two tries directly off lineouts against Japan this weekend. 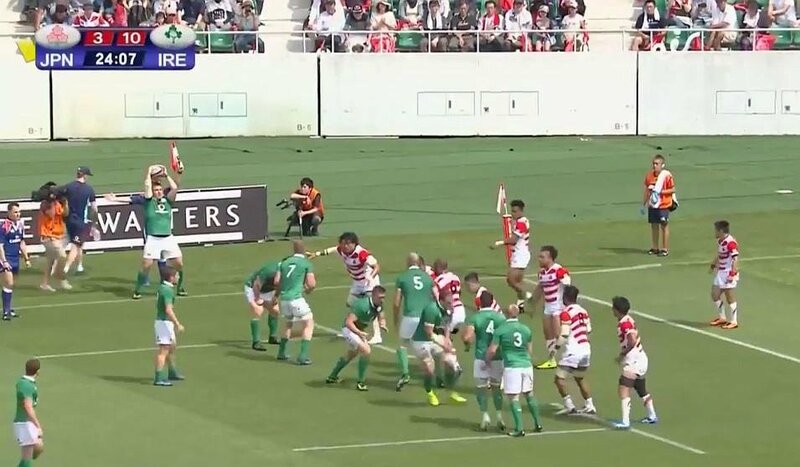 The first sees the ball brought down and popped to Devin Toner, which gives the Japanese defence the impression the Irish forwards are going to maul it over but instead 6’10 Toner peels off and is given the choice of three runners coming around the corner to hit. Leevy gets the balls and smashes over what looks a flyhalf, the Japanese forwards busy elsewhere trying to sack a maul that never was. The second was just an off the top with Earls coming in off his wing and picking a nice line, but nicely done all the same.